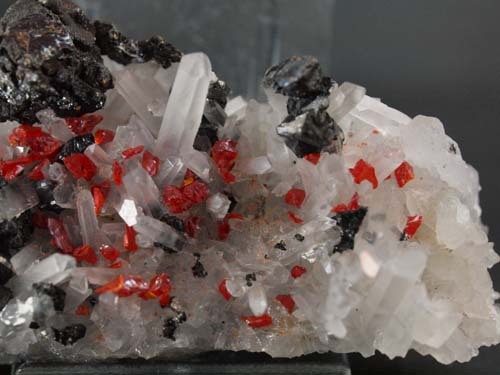 Great minerals from Peru, specimens of peruvian realgar with quartz, orpiment, galena, sphalerite and pyrite. 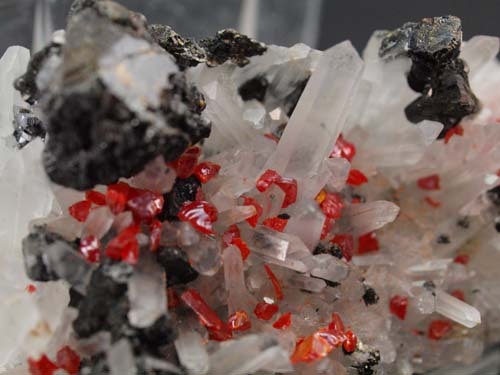 Plates full of crystals, fantastic realgar from Peru. 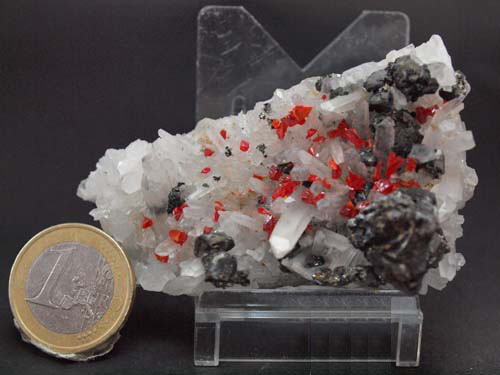 Quartz crystals (quartz crystal size 1,5cm) with realgar crystals on it and sphalerite crystals (sphalerite crystal size 1cm).